At 400 ft Alexander was designed for Royalty, Presidents, Kings and Queens of Nations and the very wealthy. The owner insists to know who the charter party are well before signing any contract, this is a most welcoming aspect, because strict privacy can be enjoyed while on board Alexander. Her crew of 57 are well schooled in English, service, with attention to every detail. Perfect for a party of 80 guests in the worlds most gorgeous private yacht, based in Greece she sails the French and Italian Rivera's each year. RM Elegant is certainly a statement, the owner wanted sleek lines which he got and he also asked to walk into the future, which the designer did. 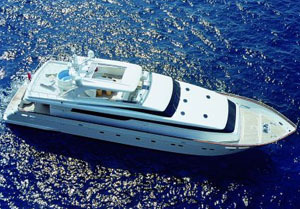 The outside lines of the super yacht RM Elegant are extremely attractive and capture your imagination immediately. The crew are all Greek, wonderful people who all speak fluent English, their service is magnificent and your cuisine again is world-class. I can see a warm touch of Greek cuisine creeping into this as well. The cabins were designed to impress and each one does just that. Here is a very special luxury power yacht which won my soul over the first time I saw her. Possibly enjoying dinner and drinks on board may have also swayed me to RM Elegant. 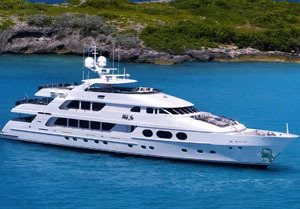 Here is a world-class motor yacht that helps it stand out from the rest of the crowd. Esmeralda has always been a winner for my company and it is the captain who is so special. The crew is a reflection of this man as well. Captain Mike is one of the few top captains who have been on board the same yacht for over 10 years. The interior of Esmeralda is brilliant, comfortable, spaciousness and luxurious. 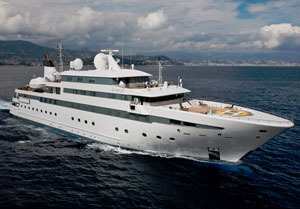 For the past 4 years our company enjoyed a party of 20 guests doing golf charters around the world with Esmeralda. They just kept returning year after year. Esmeralda has always been a winner for my company and it is the captain who is so special. The crew is a reflection of this man as well. Captain Mike is one of the few top captains who have been on board the same yacht for over 10 years. The interior of Esmeralda is brilliant, comfortable, spaciousness and luxurious. 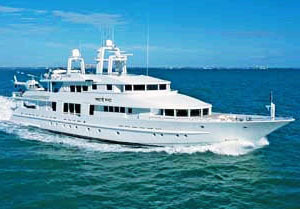 For the past 4 years our company enjoyed a party of 20 guests doing golf charters around the world with Esmeralda. They just kept returning year after year. Whatever dream voyage you have, Starfire can make it a reality. Captain Carl Sputh: Winner of "The best mega yacht captain of the year 2001" has proved that Captain Carl is one of the world's top charter captains who has gathered a fantastic chef and crew team to support his motor yacht charter career. Do you dream of days of luxurious relaxation? Of being cooled by the soft Mediterranean air? 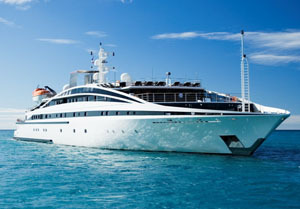 Sampling the best life has to offer on board one of the world's finest luxury privately owned crewed power yachts? Travel like royalty to Monte Carlo, Venice or Santorini experiencing at leisure the many pleasures of their casinos, cathedrals, galleries, sidewalk cafes and local restaurants. At 161 ft Starship is a very different private charter yacht as she remains the only luxury yacht which still retains her helicopter on board at all times. This is exceptionally unusual, because since 911 both International and American law have stopped the use of helicopters on private yachts, but vessels can enjoy a heli-pad on deck, this means helicopters can land on deck on vessels with helipads. The captain and crew on Starship are very professional, the chef is a trained professional. Starship has always had that cozy welcoming interior, I have always been impressed with the starship finished product, just perfect for 10 guests in 5 cabins. 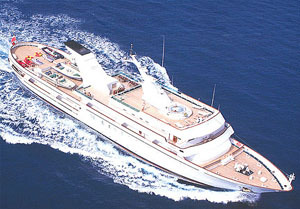 Lady Joy is 157 ft in length and has one of the top 5 captain and crew teams in the yacht charter industry. The captain is a very charming gentleman, fun and friendly with in addition to his high level of professionalism. His crew reflects the man himself and he has selected his crew very well. The chef, Nicolas Richert, is a renowned world-class cuisine king who has worked in a top restaurant in St Tropez. 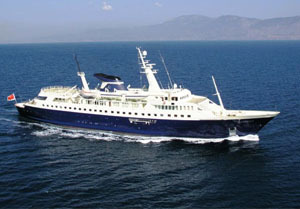 The interior of Lady Joy is designed for 12 guests in 6 cabins. Guest cabins are magnificent, every amenity imagined has been provided plus internal (Formal) and external dining for guests. It is almost impossible to beat Lady Joy and her team. 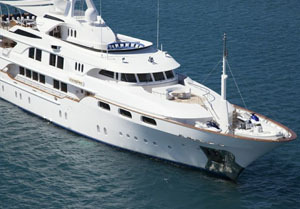 Chartering this luxury yacht reflects the very name of Lady Joy creating a life altering Joy. Harmony at 115 ft with its famous Captain Jack McKay, not enough praise can be handed out to this captain who has surrounded himself with superb crew to support his charter career. The Captain Jack crew are also rated as one of the top 5 captain and crew teams in our industry, they are fun friendly and most professional. 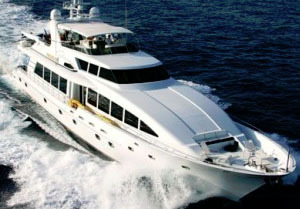 Harmony is luxurious yacht well suited for parties of 8 guests in 4 cabins. With a richly designed interior of cabins the day-time living areas are finished with soft creams, which creates a home type atmosphere, guests know they can let their hair down when on board the luxury yacht Harmony. A motor yacht charter vacation on board Harmony can be likened to some words that a female guest recently said "I am a butterfly floating from island to island to taste her pollen". The 111' Cheeky Tiger, is a new Leopard, this is the Rolls Royce of Italian luxury power yachts, they are designed fast and sleek with every amenity available to make sure guests have everything they expect of such a vessel. The cabins and salon areas are finished with a high gloss which just high-lights the gorgeous Royal Family look at sea. The captain and crew team are selected from many applications which makes me believe everything about this captain and chef team is excellent, service oriented by top professionals. 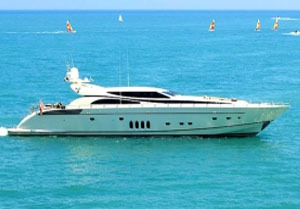 The motor yacht 108 ft Quartro Assi 2008 model is in brand new condition. The interior has always impressed me with ivory complimented by a rich timber finish. The carpets and upholstery are ivory and the wall finishes are rich timber a very good contrast. The captain and crew team are fun friendly and great to be around. The chef on board is world-class specifically trained for the position, so expect those world-class meals at each sitting. This is a luxury yacht with an excellent value for 10 guests in 5 excellent cabins, the lowest we know which is comfortable for our guests. Many high-end luxury yachts also have heli-pads so helicopters can land on board your private yacht and can take guests touring the location from the air, but since 9/11 helicopters are mostly not allowed to be carried on board a yacht. All these yachts are privately owned and designed to charter. The very best way to see the Italian and French Riviera is to rent private power boats as absolutely nothing comes even close to appreciating how wonderful cruising on a private yacht charter can be.